Running shoes are modest affairs, right? Stripped back up top, but loaded with padding and maybe some support for the soles. Most are some kind of box-fresh white until they get sullied through a good muddy run or just start to show their age through wear and tear. With the racing season ahead of me, I decided it was time I got some new, fast shoes. 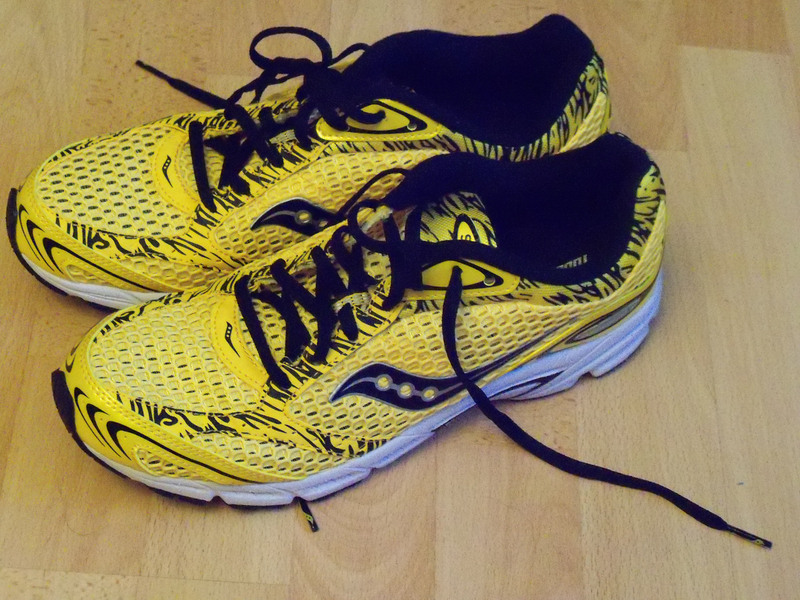 I need to wear them in before Sunday when I’ll be running the Town & Gown 10k. But they feel fast, and extremely light. They’re stripped right back to basics to make every gram count. One thing I hadn’t quite factored, when I ordered them, was that they’re not exactly subtle. And is that some kind of tiger-print detail? Hmm, if my speed’s not up to scratch yet after all the distance running, at least I’ll be making a statement. Making a statement (although I'm not sure about the content of the statement).